To book an excursion to Port Ghalib email steven@marsaalam.com or telephone Steven on +20 1010 4545 98. Port Ghalib twenty years ago was just a small stretch of uninhabited desert coastline but the Kuwaiti billionaire Nasser El Kharafi (who died in April 2011 ) invested one fifth of his own net wealth - two billion dollars - to turn it into the region's largest tourist resort and marina complex. Even after many visits to Port Ghalib, I still marvel at the amazing achievement of this highly eccentric business venture. It now covers 18km of desert coastline and 8 million square metres of desert - that's vast - it's almost the same area as all 2,482 Tesco supermarket stores in the United Kingdom combined. But don't let my weird comparisons lead you to get the wrong impression. This previously barren and windswept rocky desert has been transformed into a modern high tech oasis of hotels, trees, shops and sporting facilities. An engineering miracle made possible by a billionaire's willingness to spend over half a million dollars a day on the project over the past decade. A transformation so impressive that, in January 2011, The New York Times included Port Ghalib in its' top 41 must see destinations worldwide and it was actually ranked 24th, well above Budapest (40th) and Miami (41st). The "ugly sisters," Sharm El Sheikh and Hurghada, weren't even mentioned. How to get there ? 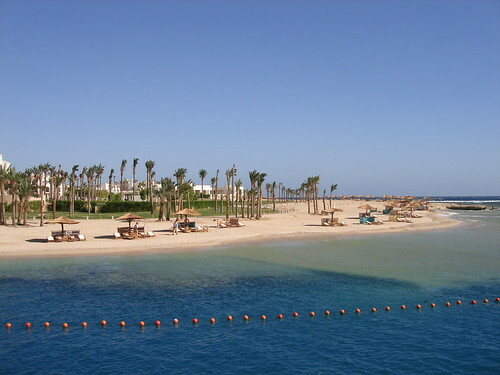 Port Ghalib is located on the Red Sea coast just 3km from Marsa Alam's international airport ( for air connections see our flights page ), it lies 65km North of the town of Marsa Alam and 73km south of the old port of El Quseir. If you can afford it, one can also arrive in style in one's yacht as Port Ghalib has its' own large marina with a harbour master and even a customs and immigration office. Relax - Port Ghalib is a great place to forget that you are on an otherwise remote stretch of Saharan coastline. Here you can sip drinks at a table by the marina or enjoy shopping in what is definitely Marsa Alam's most upmarket souk. Party - If you are looking for a faster pace of life - there are occasionally international music concerts held here hosting the likes of R&B superstar Beyonce Knowles. Her visit on 6th November 2009, for which tickets were issued at $400 a head, attracted considerable criticism from Islamists, some of whom labelled her performances as "satanic". That concert is now a Marsa Alam legend but night owls can still enjoy more regular weekly entertainment on Thursday nights and into the early hours of Friday mornings at the VIP Disco club based at the Palace with the DJ playing different styles of House Music. Don't worry about the entry charge - it's fairly nominal. For those of you who enjoy music but who are not night owls, you can also often find live music being played early in the evenings in the small square at the entrance to the Marina. Sports - For sporting types and the adventurous, Port Ghalib is a great base. There is a good diving centre and plenty of aqua sports activities including windsurfing, parasailing and jet skiing. Adults - just 40 euro. The trips take two hours and depart at 8am and 10am daily. For more information see our semi-submarine excursion page. Shop - Well there's the souk: It's home to a staggering 165 retail outlets although depending on the season, not all my be open. And don't imagine that you will be competing with sheep and donkeys and stepping over chickens - No, this is a highly sanitized souk with prices to match. But there is at least a great choice. You can find many boutique stores selling souvenirs, art, handicrafts, clothing, handbags, watches and diving equipment. So if you are looking for a bedouin tapestry this may be the most convenient (though perhaps not the cheapest) place to find one. However if in doubt about the price try to arrange an excursion to El Quseir where shop rents and prices are often lower. Eat out - Port Ghalib has a monopoly on several international restaurant chains so if you are a Pizza Hut, TGI Friday's or Baskin Robbins fan then this is the only place for hundreds of kilometres in any direction. Many of these restaurants, including TGI Fridays, have tables with a view out across the marina. In addition to the big names you will also notice the Grand Cafe, usually with a TV screen for sports events, near the entrance to the Corniche and further away after the Harbour Master building, the Harbour Cafe. Pizza Hut which also does takeaways (open 11am to 3am) on 018 2356571. My recommendation - TGI Fridays, despite the high prices and sometimes slow service, it has a perfect location right on the corniche, friendly atmosphere and great food. When I last visited you could also have your soft drinks topped up at no extra charge. But no alcohol ! Alcohol update - Please note, that to the best of my knowledge, most restaurants at Port Ghalib marina have not been serving alcohol since January 2012 whereas all major Marsa Alam and Port Ghalib hotels still do ( as of February 2013 ). (1) Fortunately the VIP club, popular with the night crowd, is also still serving alcohol. As far as I know the restaurant alcohol ban had nothing to do with Egyptian government regulations. Spa - The Marina also boasts the area's biggest, although in my view not the best, spa complex. The Six Senses Spa covers an area of 1,700 square metres - that's larger than your average European supermarket - with sixteen treatment areas. It offers all the usual treatments that you can find on the health club menus of most Marsa Alam hotels with a few that you might not be able to find elsewhere such as colonic hydrotherapy. However I would nevertheless recommend you visit the smaller spa at Al Nada Resort, just 20km to the south or ten minutes by taxi, where the masseurs (male and female) have almost miraculous skills when it comes to relaxation and rejuvenation. According to the Marina's own website it can host an amada of ships to rival Homer's Trojan epic - up to 1,000 yachts - making it the largest in the Middle East, although you will rarely see more than a dozen moored and it may be some years before Kharafi's dreams for Port Ghalib are realized, if ever. It's doubtful whether his five children will have quite the same unmitigated enthusiasm for this beautiful, but remote location over 1000km from their homeland. If you wish to moor your yacht, the berthing charges are very reasonable - just $2.00 a week or $266 a year for any foreign registered vessels of between 6.1 metres and 14 metres in length as of February 2013. Full table of rates given here. You can even squeeze a fifty metre yacht in to the marina - unfortunately I'm not sure what the charge is for that - but presumably if your name is Roman Abramovich you won't be too worried. Well Port Ghalib isn't very welcoming of your typical backpacker - you won't find any hostels or cheap options here and if you are looking for budget options you would be much better off looking at El Quseir or Marsa Alam where there are one or two relatively cheap hotels. One reasonable choice here - the Port Ghalib Marina Lodge situated on the south side of the lagoon. You can catch a free ferry shuttle over to the main marina - although one guest complained on TripAdvisor (8 March 2012) that the schedule was "a bit erratic" and requested a board with information. However the hotel has a fairly good reputation, the staff are friendly and there is a good diving school based there. For more information see our review. Now you are talking, providing you can afford it. Currently a choice of three - The Crowne Plaza Sahara Oasis, The Crowne Plaza Sahara Sands and Intercontinental The Palace. And I've no doubt which the author P.G. Woodhouse would have choosen for one of Bertie Wooster's decadent travel sagas. Surrounded by terraced gardens and waterfalls and with its' thirteen royal suites the Intercontinetal the Palace is the ultimate in Marsa Alam for extravagence and opulence. And Bertie could have left Jeeves (his famous personal valet) behind as the hotel offers its' own optional butler service when you book a suite. The surprisingly good news is that if you only want a standard room or deluxe garden view and book at a quieter time and well in advance you can pay as little as 441 euro a week as of February 2013. However suites start from around 220 euro per night and for the likes of Bertie Wooster it would have to be the Presidential Suite and unfortunately the Intercontinental doesn't want to be so vulgar and common as to advertise a price. However according to a snooping journalist from the Sunday Mercury the price, back in 2008, was 2,500 British pounds a night, that's nearly 3,000 euros. For more information on the Intercontinental please read our review. If you are looking to buy yourself a flat in well managed sea view location with restaurants on your doorstep then you might well consider Port Ghalib. There's a choice of furnished studios, apartments or "townhouses" to rent or buy at the Marina Residence with balaconies overlooking the marina and corniche. And there are also apartments available close by in Tower Village built around narrow streets and gardens inspired by the surviving medieval alleyways of older Middle Eastern cities. Homes offered in Port Ghalib vary in size from 48 sqm studios to 315 sqm Arabian villas and prices in 2010 started at 80,000 dollars. Residents will benefit from 24 hour security and communal services such as parking, garbage collection, broadband internet and telephone but I don't what the services charge, if any, might be. For more information email steven@marsaalam.com. Should you need emergency medical assistance, this may be your best local bet although there are also small hospitals at Marsa Alam and El Quseir. You should be able to find all that you need to know about this hopsital on its' webpage PortGahlibHospital.com. Tel: +2 (065) 3544850 or +2 (065) 3543850. CIB Bank (open Sunday through Thursday) is located just off the Corniche. There is an ATM machine and foreign exchange facilities during banking hours. Phone 19666 or also try 065 3750083. There should be two alternative CIB ATM machines at El Borg Village about 1km away. Ghalib means "the victor" or "conqueror" in Arabic. 1. See for instance TripAdvisor reports by Raey-Litza 15 November 2012, Bob B 3 November 2012 and Alex W on 8 October 2012. Youtube - 4 minutes - over 10,000 views. A diver's video memories of a trip to Port Ghalib. Youtube - April 2016 - 9 minutes - over 13,000 views. Youtube - 5 minutes - over 5,000 views. Some fascinating drone video shots of Port Ghalib. Youtube - November 2016 - 3 minutes. A promotional video with a history lesson. October 2014 - 10 minutes - over 12,000 views. Missed the November 2009 Beyonce concert ? Here are some photos with Beyonce's "Naughty Girl" track. November 2009 - 3 minutes - over 10,000 views. Photos of Port Ghalib set to music on Youtube. Nov 2010 - 2.36 minutes - over 9,000 views. Port Ghalib snorkeling, safaris and sports activities. Youtube - August 2016 - 4.28 mins - over 2000 views. Popular Youtube promotional video of Port Ghalib. May 2014 - 2.53 minutes - over 33,000 views. This photo taken of the desert just outside Port Ghalib marina by Mappamundi on Flickr, March 2006. Photo on Flickr by Gabry X of the Seascope glass bottom boats moored at Port Ghalib. January 2010. 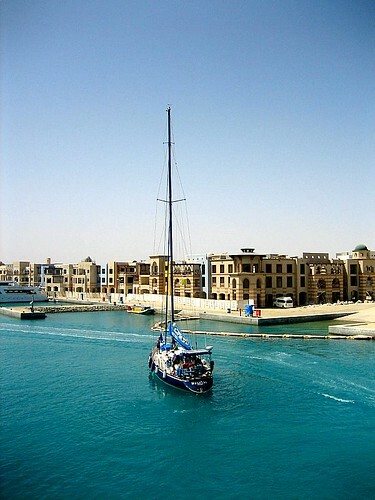 A yacht entering Port Ghalib marina in this great snap by Judepics on Flickr, March 2006. A tourist's photos of a night around Port Ghalib marina. February 2012 - 3.10 minutes. The beach of the Intercontinental the Palace as seen from a boat entering Port Ghalib Harbour. This photograph by asands on Flickr. Stuck at Marsa Alam airport ? If you need a cheap limousine, taxi service or car rental at any time phone Steven on + 20 1284 332 337 or email steven@marsaalam.com. There is no public transport available from the airport. 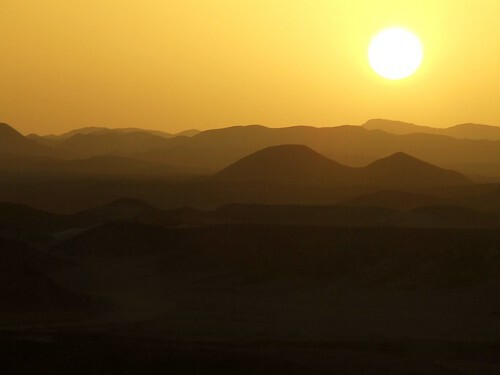 Marsa Alam, Hurghada, Luxor, Cairo and Sharm El Sheikh.